This is something that STORIS vets and supporters should be aware of since the artifacts that we were concerned about have apparently arrived at the CG Historian’s artifact curation facility as pointed out by Mr. Jon Michael Watson's post over the weekend. In February 2014, I received a message from an active duty CG officer who is acquainted with Master Chief James Hiller USCG (ret). Chief Hiller is a STORIS vet, having sailed on her during the NW Passage trip in 1957. He had a long, illustrious career in the USCG as a Damage Controlman. Mr. Hiller is currently a volunteer with the privately owned CGC BRAMBLE (WLB-392) museum in Port Huron, MI. As you may recall, BRAMBLE had been threatened in the ownership of the Port Huron Museum as they had used her in an unethical fashion as collateral for a loan to subsidize its substandard management practices. Credible rumors indicated the museum was secretly shopping her around for scrap. To create public relations issues for the museum, I successfully nominated BRAMBLE for listing on the National Register of Historic Places with the assistance of LCDR Brent Michaels, USCG (ret). I was well familiar with BRAMBLE from having worked on her for a short time in the employ of the PH Museum. While listing on the NR would not prevent her destruction – as we later saw happen with STORIS despite HER listing on the NR – the intent was to recognize Bumble while putting the museum in a bind. What kind of museum would willingly allow the destruction of a major historic asset? With BRAMBLE’s transfer and apparent removal from threatened status, I have had no further involvement with the historic buoy tender. Anyway, the CG officer asked if I knew where BRAMBLE’s Northwest Passage plaque was located. I knew it had been removed when the ship was decommissioned and a photograph of the plaque was mounted in its place on the bulkhead at the end of the portside passageway. The Port Huron Museum should have been able to tell the new owners where the plaque was located. The new owners had also already arranged to officially “borrow” BRAMBLE’s bell from the USCG and put it back on the ship in a glass display case, so there was already a pre-existing contact and contract in place between the BRAMBLE owners and CG Historian’s Office. I confirmed to the inquiring officer that USCG had the plaque and that the BRAMBLE owners should check there. I even sent an email regarding the plaque to the new owner, Robert Klingler. I received no response. I later received a phone call from Chief Hiller himself, stating that the BRAMBLE plaque had been located at USCG HQ and was in the Commandant’s Mess but the CG was unwilling to loan it out. He asked me further if I happened to know where the Northwest Passage plaque that was awarded to STORIS was located. Knowing where this was going, I replied that yes, I knew generally where the plaque was located, at ISC Alameda with STORIS’ bell and builder’s plate. However, I politely and respectfully made it clear up front that I thought it would be highly inappropriate for STORIS’ NW Passage plaque to be separated from the rest of the STORIS artifacts. I also stated as an official member of the working group between the STORIS Museum and The Last Patrol that I felt it was a bad idea and would not be received well. This position was supported later by Jim Loback and John Nowakowski. I further explained that I felt, with all due respect to Mr. Hiller as a STORIS Veteran himself, that the rest of STORIS Veterans and supporters, after already having lost the ship, would vehemently object to one of the last tangible remnants of STORIS being separated from the bell and builder’s plate. This would be especially true since the plaque would be placed on display as a surrogate for BRAMBLE’s plate to satisfy the self-indulgence of that group. In corresponding with a few other STORIS vets in the subsequent days, they wholeheartedly backed me up, indicating that they would indeed be angry if STORIS’ artifacts were to be separated piecemeal in such a fashion, especially to fill a display void and be passed off as a BRAMBLE artifact. No one seems to know where SPAR’s plaque went. 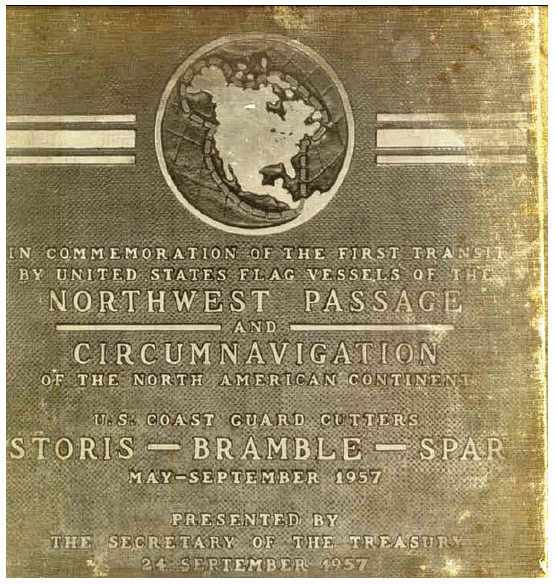 I had checked with the CG Historian’s Office at one point and they claimed that they had no record that SPAR ever had a NW Passage plaque. That answer is rubbish, considering that several SPAR veterans have confirmed that they saw it on board the ship. Since SPAR was decommissioned and ultimately ended up with a questionable "preservation group." She ended up stripped of anything of value and reefed, The plaque could very well be someone’s secret trophy somewhere, another FAIL for the CG and preservation of its history. I insisted that the BRAMBLE group either work to borrow back the plaque originally assigned to that ship or make arrangements with the Coast Guard to cast a duplicate. Casting a new plaque would be an acceptable alternative, considering the owners can afford it and the plaque, being mounted on a bulkhead fully accessible to guests (and potential vandals), could potentially be scratched up. I do not want to see that happen to an original NW Passage plaque and STORIS’ plaque shouldn’t even be considered to be exposed to that, anyway. I asserted that STORIS’ bell, builder’s plate and Northwest Passage plaque should remain together for a display for STORIS. Mr. Hiller and I chatted for a while further about various other topics such as his service and the particulars of how STORIS was lost. Since that discussion, I have heard nothing further from anyone associated with BRAMBLE. Not to impose and place him in an awkward position, but perhaps Mr. Watson can inquire with the CG curator as to the intent of the CG Historian’s office with the STORIS artifacts. 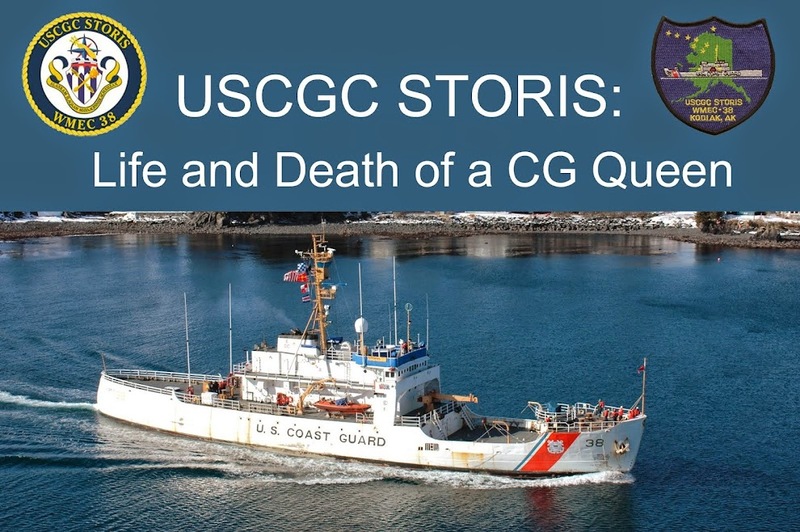 I believe the overwhelming consensus is that those items should be placed on display to honor STORIS, not another cutter. The STORIS Museum, as it dissolved, commissioned a display model to donate to the new USCG Museum in New London. The group also was planning on making a large cash donation that would essentially consist of all remaining financial assets that had been originally donated to save the ship. STORIS was destroyed thanks to the incompetence and indifference of the U.S. Federal Government. Respectfully and prominently displaying her last key artifacts is the least the CG can do in her honor and for all of her veterans. 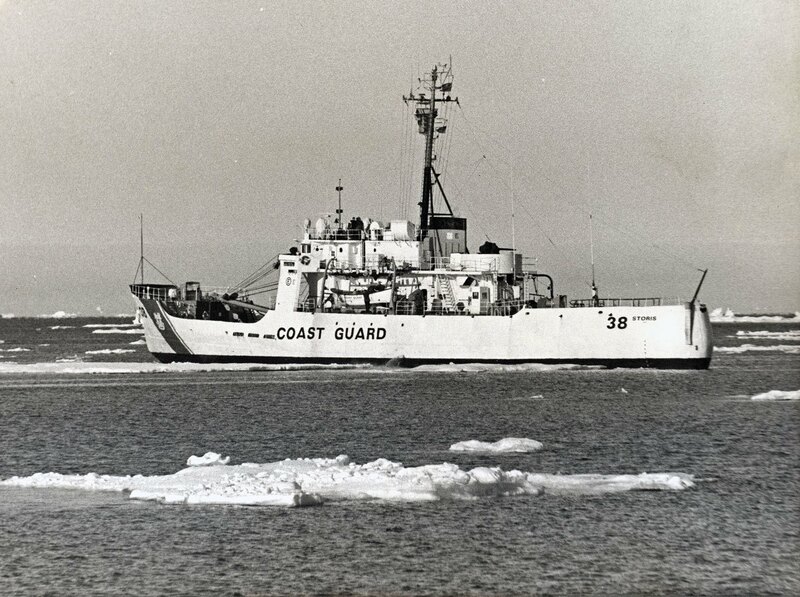 STORIS in the ice ca 1980s, a D17 photo. Sharing just because. I have heard that there may be some major news coming shortly, an opportunity to speak up and be heard. At this point, the best I can say is stand by to stand by. I will let everyone know as it plays out. I received the fourth rolling release from GSA today. There are a few hundred pages of information, much of which is repetitive. The Environmental Assessment for STORIS and ACUSHNET was also included and some dumb government bureaucrat sat and redacted the whole thing, wasting time and effort on a document that is already available online and redaction free. Government waste at its finest. From a quick read-through, there is more proof of the ignorance, arrogance, and incompetence at GSA. Yes, that means you Heather Bischoff, Tonya Dillard and all your cronies, since we know definitely that GSA is reading our Facebook and Web site posts. GSA refers to me in a couple of posts as "pestering them." They have a lot of nerve, but they do what they want because they're the government. Once I wade through this mess I'll post it. I have to redact some of my own personal information that they left in the files.